We have had the pleasure to taste the amazing meals offered by both Send A Meal and WonderSlim and we completely understand if you are having a hard time deciding between the two. In this Send A Meal VS WonderSlim comparison, we highlight all the strong and weak points of these two popular services in order to help you find out which one better suits your individual needs and which one is objectively superior to the other. WonderSlim is a renowned weight loss meal delivery that offers easy-to-follow diet plans that can help you lose weight through a combination of frequent meals, balanced diet, and portion control. WonderSlim offers 3 diet meal plans, including Basic Essentials, Core Classic, and Premium Complete. All 3 plans come in 2 versions - for men and for women. WonderSlim has more than 150 diet items in its offer. WonderSlim offers diet drinks, bars, snacks, entrées, soups, desserts, breakfasts, and supplements. Its selection includes both ready-made dishes and meal replacements. Options for special diets include kosher, gluten-free, no gluten-containing ingredients, vegan, vegetarian, non-GMO, aspartame-free, sugar-free, fat-free, low-fat, low-carb, low-sodium, wheat-free, lactose-free, and bariatric items. WonderSlim products are mostly free from aspartame, there are many non-GMO items, and although the products are not made of the highest-quality ingredients, they are healthy, nutritionally designed, made to the highest standards of taste, and produced in FDA-inspected facilities. WonderSlim meals and meal replacements are nutritionally balanced, low in calories, and high in protein (45% of total calories) and healthy fats (15% of total calories). The daily calorie count is 1,000-1,200 calories for women and 1,500-1,700 calories per men, averaging at just 140-240 calories per meal. The portions are not large because you get to eat every 2-3 hours. In addition to the meals, you get supplements that enrich your diet with vitamins, essential amino acids, and other valuable nutrients. WonderSlim is not a subscription-only service. If you opt for a subscription in order to save cash on your orders, you can skip a delivery or cancel at any time, just be sure to check with the support staff whether the next scheduled delivery has already been processed, in which case it cannot be canceled. WonderSlim offers a 150% money-back guarantee on all of its products. If you are not satisfied with your delivery from WonderSlim, return the products within 60 days and get a 150% refund (excluding the shipping costs) or a replacement. Orders shipped internationally can only be returned for a refund, not a replacement. First the bad stuff - I don't like all the shakes and some meals are pretty bland, so I wasn't fully satisfied with my first order. Now the good stuff - the second delivery was perfect, just skipped what I didn't like the first time and loved every bite. So far, I've lost 6.5 pounds (2 and a half weeks), which is more than I managed to lose in the past couple of years. Worth the cash, that's for sure. Fair prices, customer support is lovely, and I did lose a few pounds, 3 pounds in 10 days to be exact, so an honest recommendation from me. Probably the tastiest diet meals I've had. I like that it's not so strict, that I can choose when I want to have a meal replacement, when I just want to heat up a meal, and when I want to cook. 4 pounds isn't much, but I've been struggling with weight for a long time and this has really helped me believe that I can do it. I'm more than grateful! 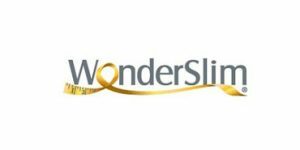 Discover whether WonderSlim can help you finally reach your goal weight in this detailed WonderSlim review. We provide concrete information on the WonderSlim program structure, flexibility, and pricing, so you can find out exactly how this program works, what you get to eat, and how much you need to pay to lose weight with the help of WonderSlim.